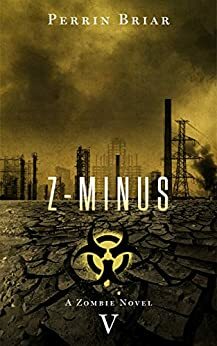 Z-Minus 5 continues the story of the previous installment at a research facility in Charlotte. Susan Scott and her team of researchers receive a transmission on their high tech sequencer “Archie” from their sister facility in New York. While unexpected and unannounced, once analyzed it becomes apparent that what was sent is a virus that could possibly decimate the entire population. When it becomes clear that the virus is already in circulation in their area, the race is on to have Archie fashion a vaccine, but will the team survive the 8 hours it will take to complete the task? While not a sequel to Z-Minus 4, this installment appears to run fairly simultaneously with its predecessor. At one point, there is a mention of an explosion in Uwharrie forest which can be seen and heard from Susan’s position in the city. The way the story progresses from Susan and her colleagues holed up in the research facility to an all-out race against time to save her affected family and escape the apocalypse leaves no room for the reader to catch their breath. While this installment is short as far as novels are concerned there is not lack of action. For those familiar with the prior installment, many clues are left as to where Z Minus 6, the final entry in this story arc will take us.